NextStep is gearing to be a hub for freelancer services and digital nomads in Asia and around the globe. For almost ten years, NextStep has been providing the inquisitive a venue to learn more about their interests. We help connect our audiences with the right people and organizations. They share their expertise, knowledge, and skills. With our community, we established a revolutionary concept in Shanghai, China. In March 2017, NextStep launched NextStepHub.com. The goal is to help entrepreneurs find the right partners and suppliers through our business directory. NextStep Hub is curating a wide variety of content, tools, and resources for entrepreneurs and managers. We want to become a business resource for the entrepreneurs of Asia and the world. We’ve received great feedback from our weekly newsletter, Five Tips Tuesdays. Because of that, we have decided to bring you more. We now give you two interview series, Shanghai Rendezvous and Freelance Fridays Presents. Shanghai Rendezvous is an interview series inspired by Superwomen in Data. It’s a series of innovative conferences on digital topics in data and digital practices. Led by women entrepreneurs of Shanghai, China, the goal of the event is to put the spotlight on women experts in the digital space. It’s a venue for them to share their valuable experiences. Here they discuss the future challenges in the space and raise funds to for donation. Eve Bretaudeau, an entrepreneur, and digital marketing expert gets up close and personal with the women behind this event. Here they talk about what they do, and how they overcome the challenges of being a woman in an industry full of men. Freelance Friday Presents talks with the key influencers in the freelancing space in the Philippines. Here we discuss the thriving industry, how they began their careers, and the challenges they’ve overcome. 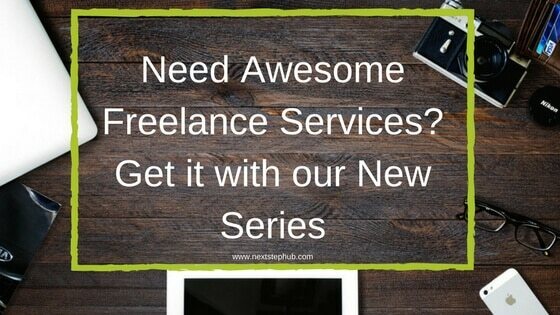 With this, they will offer tips and insights for the freelancing and digital nomad industry. This interview series will be led by Herlene Somook, Creative Entrepreneur and Digital Nomad from the Philippines. She leads a team of Filipino Freelancers who provides digital solutions for startups and brands online. Watch out for our first episode on June 9, 2017. Share your thoughts and let us know who you want to be featured in our series.